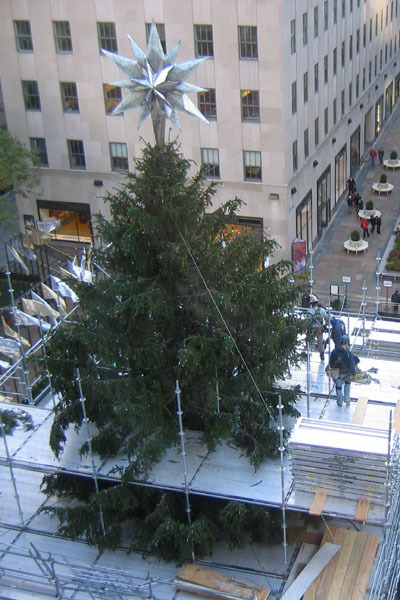 From the office overlooking the tree. 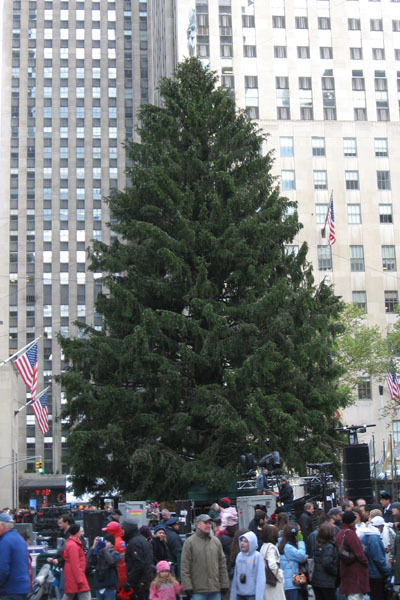 Moments before the lights were turned on. 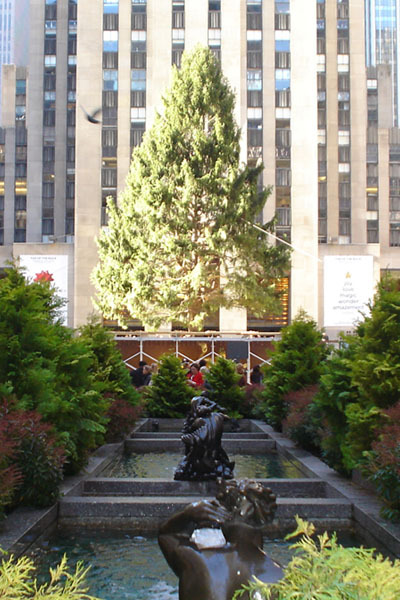 This time lapse video starts at approximately 12:00 noon on Thursday, November 11 and ends with the tree being lit on Tuesday, November 30. 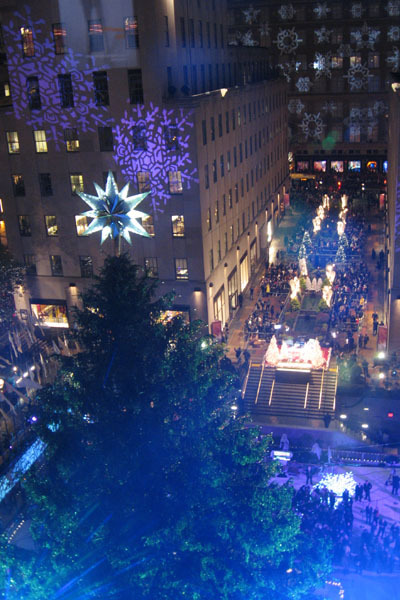 The view is from a window on the 7th floor of 30 Rockefeller Plaza. 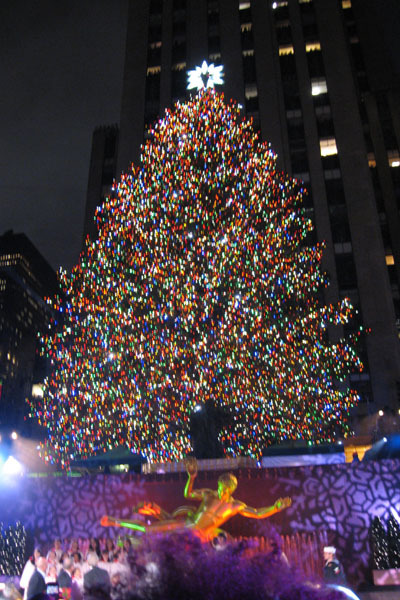 This is the same video as presented on the Today Show, Friday, December 3. 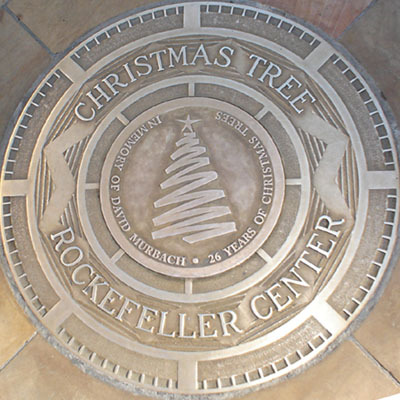 This is the marker in the sidewalk outside 30 Rock where the Rockefeller Center Christmas Tree is setup each year. You can read more about David Murbach's passing at the NY Daily News. 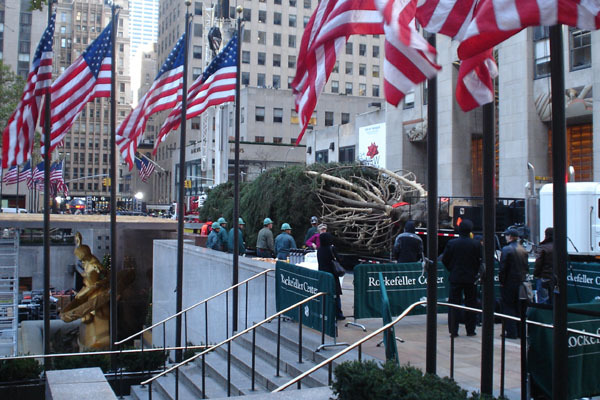 Saturday Afternoon, November 27 - The holiday crowds have returned to 30 Rock. 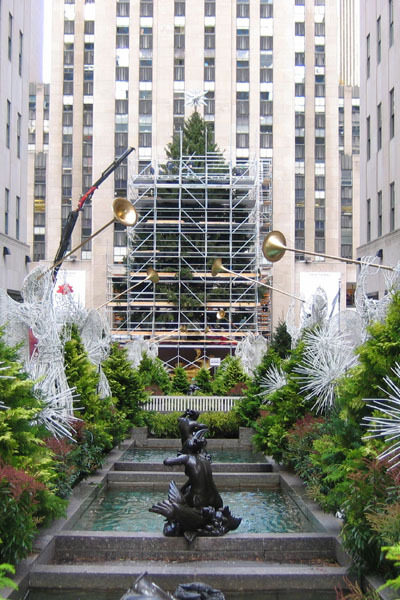 The tree is finished and you can see the technicians setting up for the show Tuesday night. 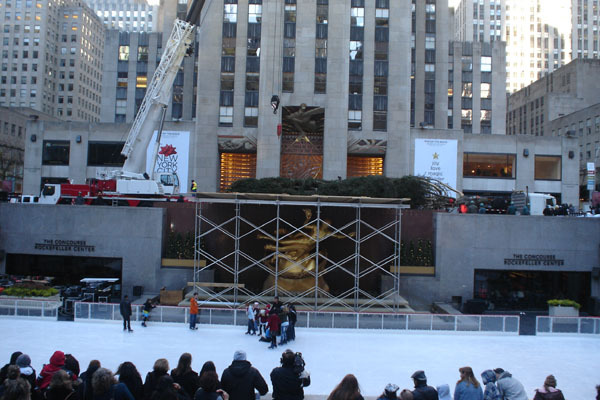 The scaffolding was taken down yesterday, November 24. 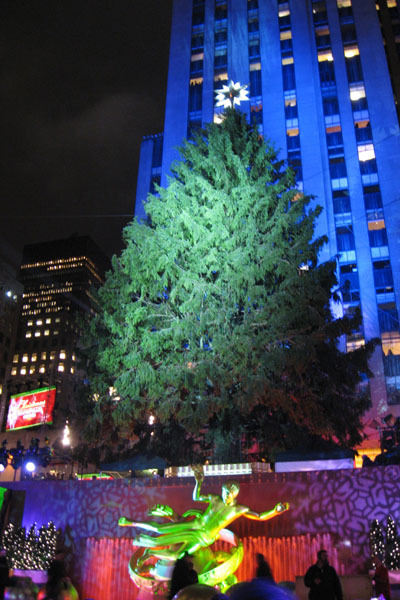 The lights will go on Tuesday night, November 30. 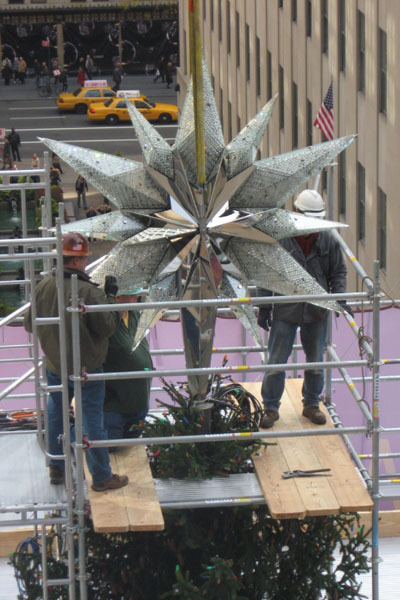 The Swarovski Star was installed atop the tree yesterday, November 18. 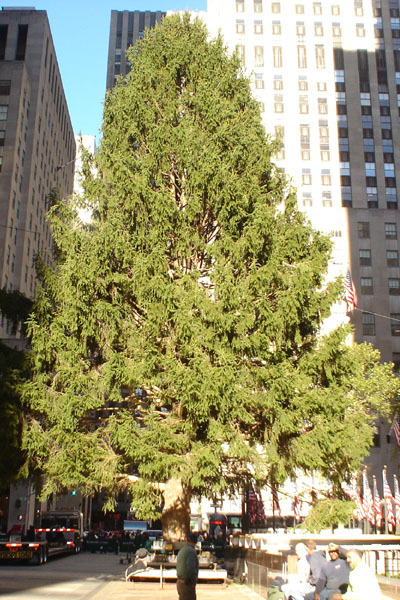 Here is a link to an article in the Epoch Times that has all the details on the star. 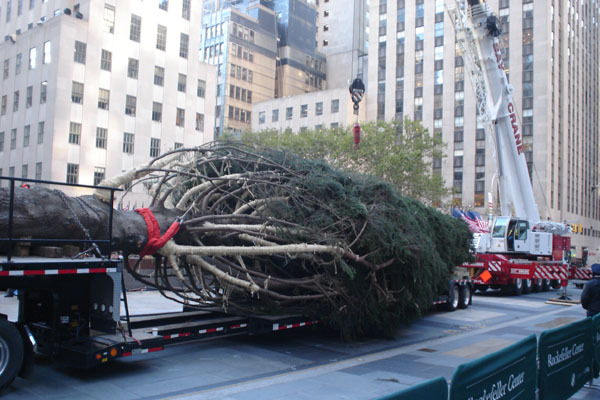 On the truck prior to raising. 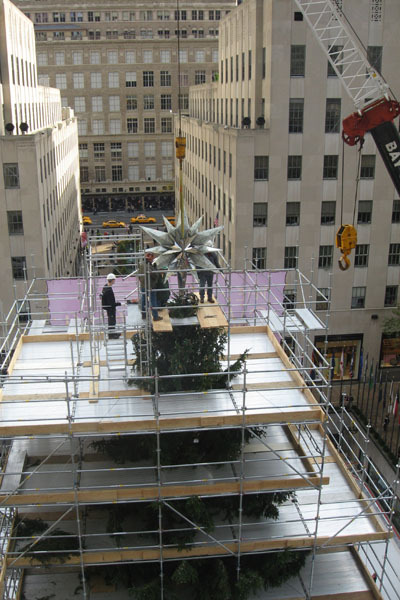 This is a short video from NBC New York of the 2010 tree being raised.